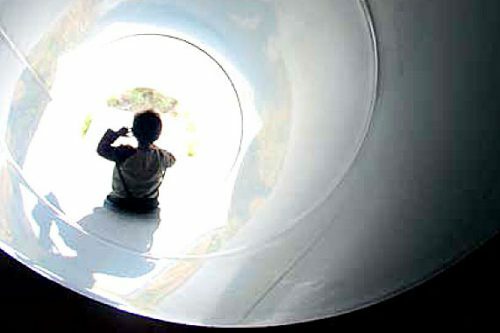 Whether the kids are big or small, there’s an exciting area for everyone. There are climbing structures up to the roof, roof shed, crawl tunnel, balancing course, slides, playhouses, seating platforms, sandpit, reading corners and much more. We’ve even thought about parents and teachers, with seating options that invite them to take a moment of rest. 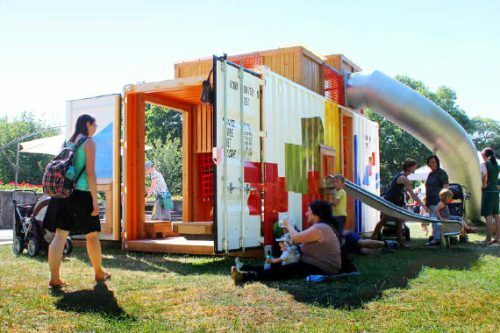 The fully-fledged playground encourages freedom of movement while at the same time offering areas to withdraw for more intense play. There are many options for play in any weather: in cool shade in the summer, partially covered in rain – an indoor playground in the fresh air. 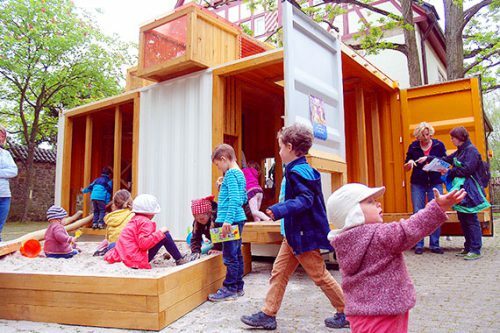 The ISO standard 150 668 shipping container has a framework structure called a “superstructure” which we use as a support element to create foundation-free playground facilities. 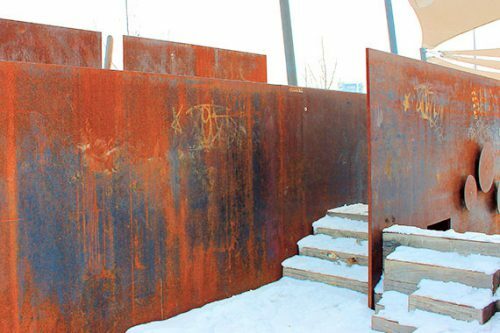 No earth excavations and no permanent concrete foundations are necessary for the construction. This saves money and time. 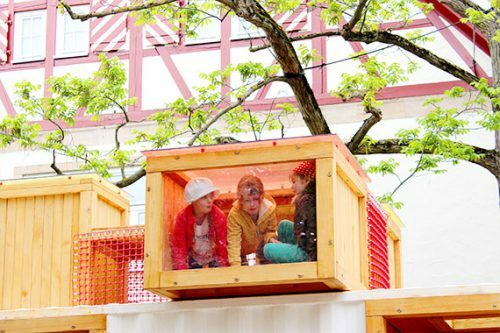 The construction of the fittings is very high-quality and robust, with the hardest woods and weather-resistant, stainless-steel connections – meaning the KuKuk Box is approved as a public children’s playground. 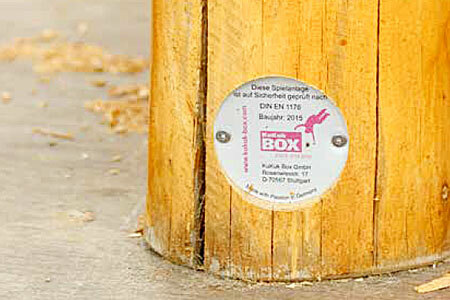 The KuKuk Box play containers are lovingly handcrafted, safety-checked, loaded and installed at your site. We are also happy to perform safety checks and maintenance work. We use only very high-quality materials. Containers are usually made of durable COR-TEN steel. The walls are made of trapezoidal sheet steel, while the floors are made of laminated wood. 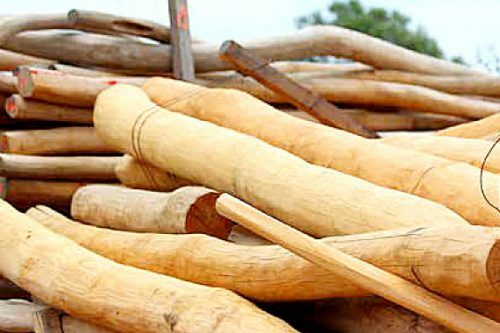 For our installations, we use sapwood-free robinia wood, which is characterised by high natural robustness (resistance class 1). Among all native woods, robinia is the most weather-resistant, while at the same time having an extremely high bending strength meaning it can therefore be used with excellent results in outdoor playground installations. 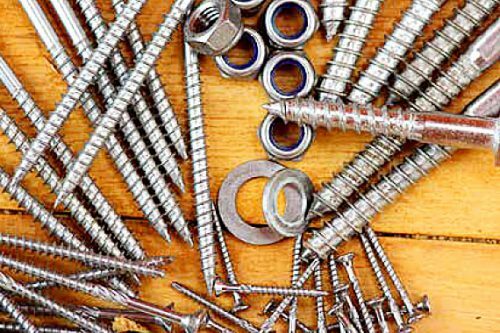 Joining technique: in order to guarantee a long service life and high quality, we use only stainless-steel fasteners such as screws, threaded rods, washers, nuts, etc. (V2A). Our slides are made of durable, UV-resistant stainless steel (V2A). 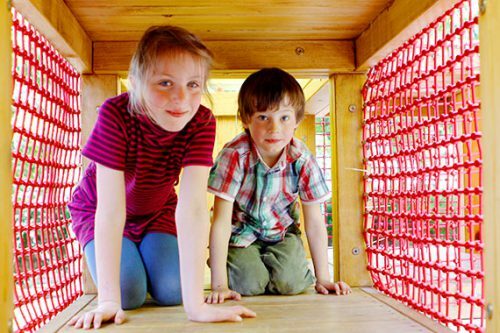 The robinia heartwood used in our play equipment does not need a protective coating because of its very high resistance. 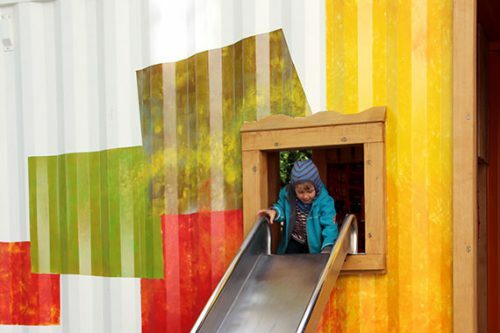 In order to preserve the brand-new appearance of the play equipment, we give the wood an environmentally friendly, solvent-free glaze (DIN EN71-3 tested – “saliva and perspiration-resistant”), whose colour pigments protect the wood against grey discoloration for longer. Our nets and ropes are made from extremely strong Hercules rope (sheathed steel rope), using hand craftsmanship that only very few manufacturers in Germany can produce. The material is characterised by high colour-fastness and abrasion resistance. 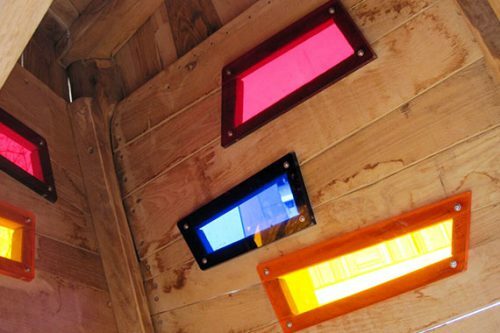 We like to use coloured Plexiglas to give children an intense colour experience. In addition to its excellent optical properties, the material is weather- and age-resistant and has very good UV resistance. It is scratch-resistant, impact-resistant and has good heat resistance. Sustainability is of vital importance to us. We’re pleased to take back our play containers if they are no longer needed in order to make something new from the materials – our manufacturer’s return guarantee. KuKuk Box play containers are constructed according to the EN 1176 safety standard and are individually approved by independent certified inspectors (e.g. TUV) for use as public play facilities.